Greece is one of the countries of the world which is a significant tourist destination. Especially when it’s summer. Each year millions of tourists visit the mainland and the islands of Greece. The islands for Greece are a basic feature of summer vacation. Let’s see some of the beautiful places and the best Greek Islands. The order is random. Corfu is one of the northernmost islands of the Ionian Sea and one of the largest in Greece. Located on the east side of the Balkans very close to Italy and Albania. 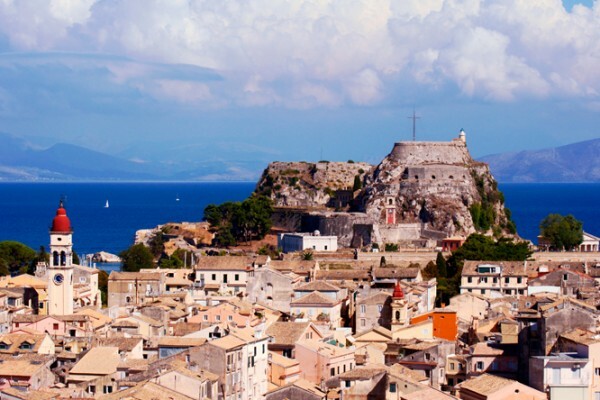 The town of Corfu is characterized by a strong Venetian point, and many English and French influences. It is a cosmopolitan city that exudes a sense of nobility. Main attractions in Corfu are the Esplanade Square (the largest in the Balkans), the Old and New Castle, the Town Hall, the Cannon, Mon Repos, the Museums of History of Byzantine and the famous Pontikonisi. 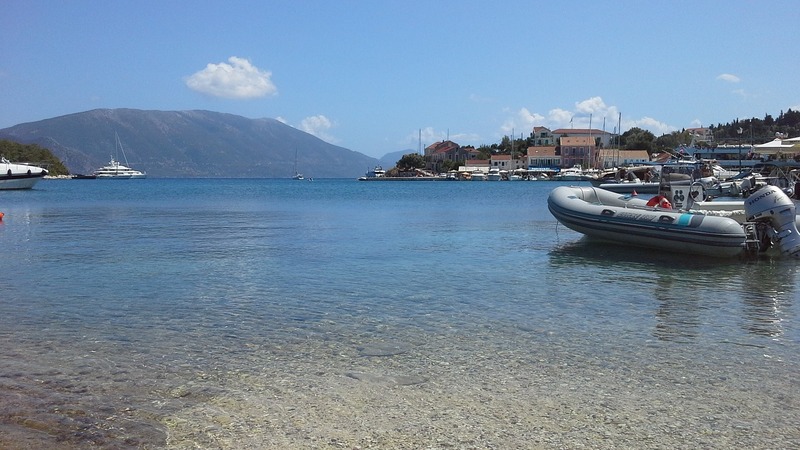 Away from the town of Corfu are also excellent locations. The most important is the Achillion, the palace of Queen Elizabeth (with the wonderful works of art), the area of Pelekas (famous for the sunset), Palaiokastritsa and of course the many beaches of fine golden sand. Corfu is a popular world tourist destination. Crete is the largest island of Greece and the fifth largest in the Mediterranean. Located in the center of the eastern Mediterranean and the great geographical position allows contact with three different continents (Europe, Asia and Africa). It is worth mentioning that Crete experienced an enormous development during the Minoan civilization. Today, is one of the most famous tourist destinations in the world and each year attracts new and returning visitors. Notable fact remains that in 2006, Crete welcomed over two million tourists. Keep in mind that a few days (even a couple of weeks) might not be enough to visit the whole island because of the large extent of the island. It would be better to figure it as mainland rather than an island. The island of Myconos belongs to the cluster of islands of Cyclades, near the center of the Aegean Sea and is the first Greek island developed for tourism. 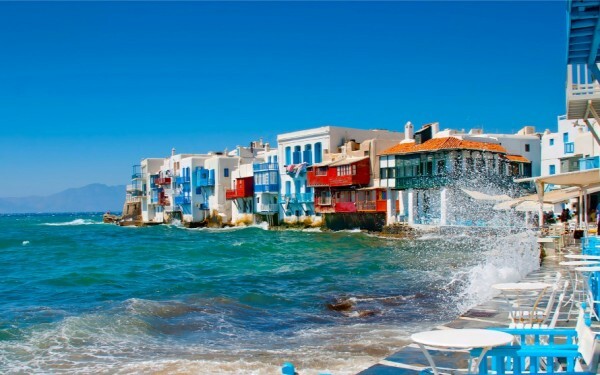 It is one of the most rowdy Greek islands because of the nightlife of Mykonos is the most vibrant and active in Europe. The entertainment on the island is unstoppable. Visitors can reach Myconos by air or by sea. The island is small and visitors can easily visit almost all noteable points. The island is very near to the island of Tinos. It is worth visiting the Mills, Little Venice , Panagia Paraportiani, Petros the Pelican (the mascot of the island) and the several museums. The beaches of the island are numerous and significant. Rhodes is the largest island in the Dodecanese and one of the largest in Greece. It belongs to the group of the islands the Dodecanese and is located in southeast Aegean Sea, very close to the beaches of Asia Minor. Rhodes is one of the few islands where visitors can do a flashback to the island’s history but without losing touch with today. Rhodes combines beautiful beaches, crystal clear seas, cosmopolitan lifestyle, places of archaeological interest, delicious food and a range of other diversified activities (sunbathing, swimming, diving, surfing etc). If you ever reach the island make a visit to Kamiros, to the Valley of the Butterflies, to Acropolis of Lindos, to the Seven Springs, and at least visit one of the many castles that exist on the island.